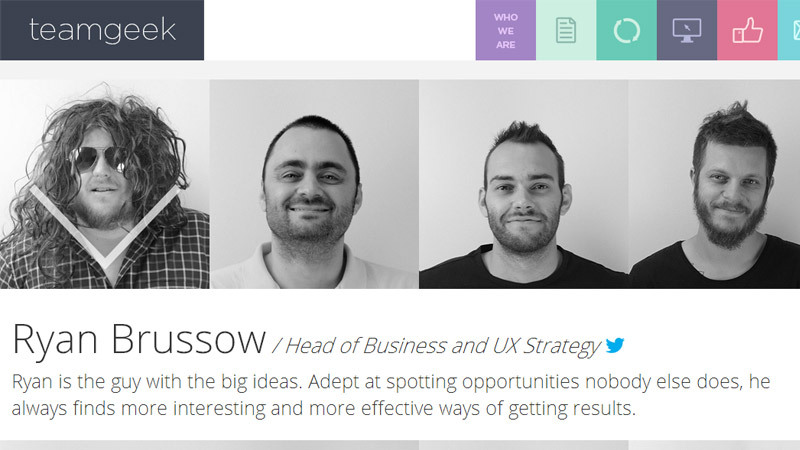 As part of our "Featured Site" series, we interviewed Ryan Brussow, the User Experience Director at Teamgeek, a team of digital experts located in South Africa about their site, teamgeek.ca.za. 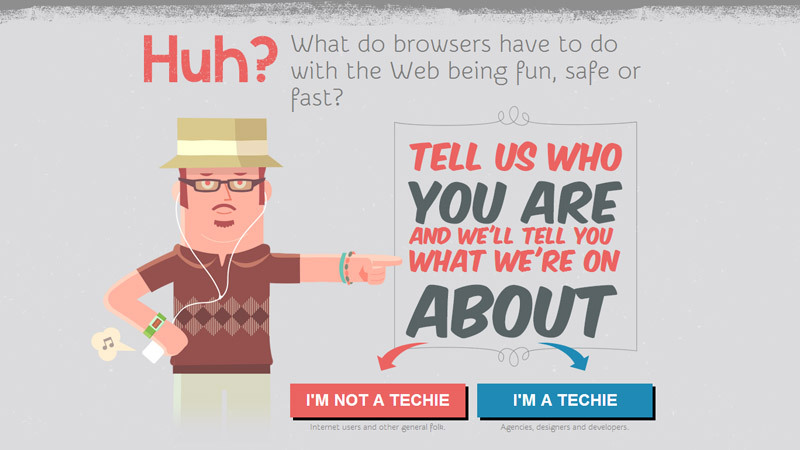 Teamgeek features a bunch of design trends in a way that's both interesting and beautiful. Q Thank you for talking with us! Could you start tell us a little bit about yourself and what you do? I’m the co-founder of Teamgeek, a user experience company from Pretoria, South Africa. I’ve been designing websites and more recently web products since the late 90s. At Teamgeek, we believe that good user experience empowers users to achieve goals and helps brands meet online business objectives. Q How do you design differently for print or the web, if you ever have to do so? Today, brand success is defined by experience. I don't see a disconnect between print and web. Sure, the rules are different but good story telling knows no boundaries. In 2014, companies will need to understand this component if they are to remain relevant. Q Why did you decide to utilize flat design on teamgeek.com? I believe less is more. 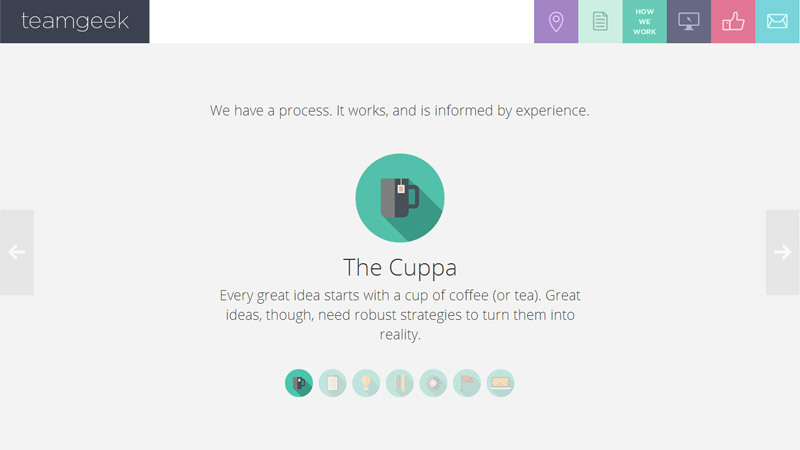 Flat user interfaces are simple, aesthetically pleasing and functional. Good design and story telling differentiates you in the cluttered world of marketing. Good design is also becoming the norm. Q Teamgeek.com is a one page site. Can you tell us about that design decision? To be completely honest, probably because it’s the quickest and easiest way to get a site up. As a service company we are mostly delivering great stuff to our clients and don’t always have time to look after ourselves. Q Can you tell us why you've presented your team with a normal headshot at first glance, and then with some crazy props as his or her personal information is shown? We like to have fun around the office and what better way to showcase our culture by being our silly selves? Q If you were giving advice to a brand new web designer, what would you tell them? What were some of the mistakes you may have learned from? Q What was your favorite part of creating your site and what are you most proud of on it? I work with really amazing people. 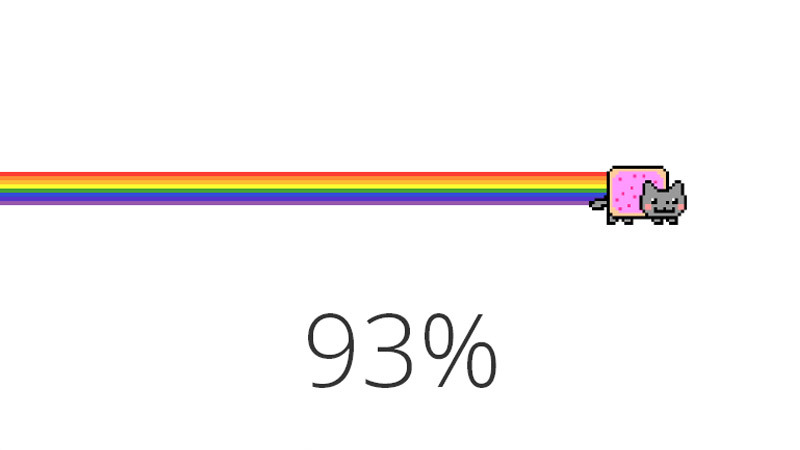 We were trying to find a cool way to load our site, I went out for a couple of hours and got back to the coolest Nyan Cat loading bar the world has ever seen! Q What software programs did you use to assist you? Q What did you find most challenging in the design and development of Teamgeek's site? I wanted something simple, yet professional. To find the right balance and not over think is always a big challenge in design. Q How do you continue to learn and grow in your craft? I have an obsession with design. Some say it’s passion, but I believe it’s an obsession. I spend at least 2-3 hours browsing and researching new trends daily. Every project we take on teaches us new ways to think and look at design. Not only from a design perspective but also usability, cross-platform functionality and innovative UX. Q How difficult is it for you to create responsive sites? Do you have any workflow tips? Funny thing is, we’ve never looked at websites as responsive this or responsive that. We believe brands need to develop ecosystems from where they can engage and market to any target audience. A lot of designers take the mobile first approach, we design across platforms as required. Q Can you tell us a little bit about your Browser Awareness Day project? In South Africa we have a lot of challenges developing innovative web stuff because there’s a real lack of education, especially in the digital space. You’ll find big brands still using IE7 and we also have a lot of Internet Cafe’s where keeping browsers up to date are not priority. So we invented Browser Awareness Day as a free tool for designers and developers to educate and help keep browsers updated. Up to date we have served over 18 million messages! Q Is there anything else that you'd like to add, or let our readers know that we may have forgotten? Firstly, thanks for listening to me jabber, much appreciated. Secondly, if you’re an up and coming designer trying to understand this whirlwind landscape we call digital, keep at it, even if you sometimes feel lost. Surround yourself with thinkers and doers and build awesome stuff to help change the world. That is what life is all about, legacy.